We source out passionate artists with sonically relevant music. Focusing on music in the Alternative, Pop, Rock, Folk, Blues, and Americana genres. If you're interested in joining our family, please submit all music for review via our contact page! 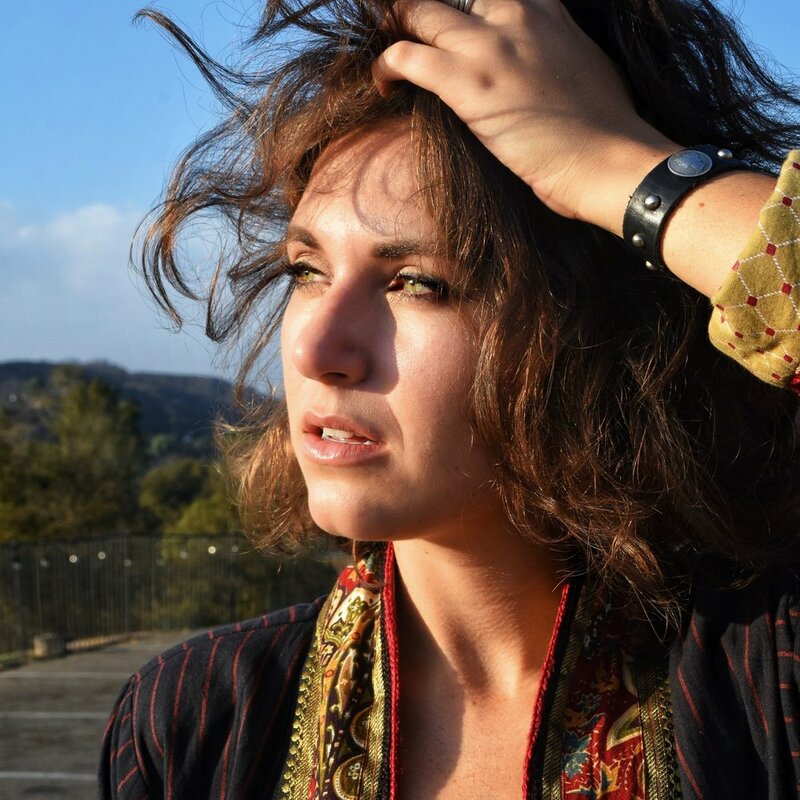 Leah Capelle is a stunningly talented alternative rocker based in Los Angeles. Her brand of alt/pop/rock will stop you in your tracks. Capelle has been performing and studying music from a young age, and eventually attended her dream school Berklee College of Music before moving to Los Angeles to pursue her music full time. Upon reaching LA, she partnered with Grammy winning producer Jeff Bova (Album of the Year, Celine Dion, Falling Into You) to release her self-titled debut EP, Leah Capelle in '15. Capelle found a group of immensely talented musicians to form her band and they are actively performing in Los Angeles. Capelle released a collection of three singles (collectively titled 'Joshua') at the beginning of 2017, which was her second project with Bova. "My first EP was a blend of folk and contemporary, while 'Joshua' is a bit more modern, more electric, and more streamlined alternative/pop/rock.” In 'Joshua' she shares her vulnerabilities through her narratives and discovering her new sound. Skope Magazine says: "Sometimes a little goes a long way. Despite the apparent brevity of such a collection, Capelle encompasses vast musically imaginative worlds in this trio of songs thanks to two crucial factors above all others – the songwriting talent involved and, naturally, her vocal quality. Some have described her as a young Stevie Nicks and, while the comparison is naturally flattering, Capelle has a far more consistent bluesy gravitas coloring her singing and a signature style of tackling a song’s various components. Though she has technique to burn thanks to a stellar musical education and background, Capelle doesn’t sing like a technician. She has a freshness and spontaneity, instead, capable of capturing the spirit of any song with skill and grace. Leah Capelle is a rare talent and 'Joshua' vividly illustrates why." And now, the highly anticipated follow-up EP 'giants' delves deeply into her personal struggles with self-identity, relationships, depression, anxiety, and pressures from without and within. In Capelle’s own words: “I want people who listen to my music to feel like they know me. I lay everything out on the table – I don’t ever write music that doesn’t relate to either what I’m going through or what my loved ones experience – so I deeply want to develop closeness with my fans.” Vents Magazine says: "Capelle has a well-honed sense for getting to the heart of what a particular performance demands with no nonsense style aiming to realize the composition’s potential. It’s a potent approach..."
The opener, 'Out of Love', is one of the older songs from Capelle's catalogue - but its message rings truer than ever. In a statement, Capelle explains, "I originally wrote this song as a collection of little hurts that had accumulated, burned their way through my brain, and coalesced into this story-song of a rough break up. Little did I know that four years later, the words I had written in 2014 would be an almost exact depiction of something that happened to me this year - down to even the tiniest details. When it dawned on me, I immediately went back into the studio and reproduced the track." 'Out of Love' is a gritty, dark, emotional pop song that bounces between alternative rock and pop effortlessly, and will drop you right into the room with Leah as she reflects on her self-fulfilling prophecy. The third track, 'Walking with Giants' is the younger sibling to her single "Joshua" released in 2017. Capelle wrote this as a love song to the great Sequoia wilderness and the powerfully gentle beauty it holds. About the song, she writes, "I was on a life-changing camping trip with a dear friend of mine, and as we got ourselves lost in the woods, I couldn't help but feel so infinitesimally small. These trees have stood their ground for centuries. They constantly evolve, the continue to adapt. They need wildfire to grow; what is a destructive force to most is a nurturing process for them - a notion I try to hold on to as I continue on a path in my own life that feels very much like a rebirth." 'Walking with Giants', the inspiration for the title of the 'giants' EP, is an alternative rock chant that weaves together Capelle's love for the outdoors and her uniquely emotive songwriting. The track 'Better Off' is a moving acoustic ballad performed live in the studio featuring Leah’s good friend and drummer Hayley Brownell. Leah explains: “‘Better Off’ is, at its core, a piece about letting go. When you know something is unhealthy, and is not bringing you joy no matter how much you wish it would, there is strength in being able to say that that thing - be it a situation, a place, or a person - cannot hold you back. This is a song about strength even when strength is the last option." "'Better Off' is a song that the world doesn’t want to let go unnoticed," writes Warlock Asylum. "It is with great honor that I am happy to announce 'Better Off' as the recipient of the Warlock Asylum International News 2018 Popular Music Song of the Year Award." 'Settle Down' is a sweetly sad depiction of Capelle's growing pains. In the song, Capelle writes to herself, almost in a soliloquy, as she works through feelings of loneliness and external pressure to be something she is not. In the bridge, she begs the questions, "How do I find myself when everyone is telling me who to be? / How do I ask for help when no one is listening?" The juxtaposition of 'everyone' and 'no one' is striking, and the sentiment is something that many can relate to. "Writing 'Settle Down' was an act of catharsis for me," Leah writes. "I've always been a fairly upbeat, smiling person who can process feelings and experiences fairly quickly. But honestly, the last couple of years have been tougher than most. If anything, 'Settle' is a letter to myself - a reminder that things WILL get better in time." 'Settle Down' is an off-the-cusp pop/rock song that transitions from an almost-late-80s vibe into a gigantic rock section, and is a powerful culmination of the 'giants' EP. These tracks truly represent the inner workings of a subtle and intricate mind. The songwriting, lyrics and production resonate to your core. 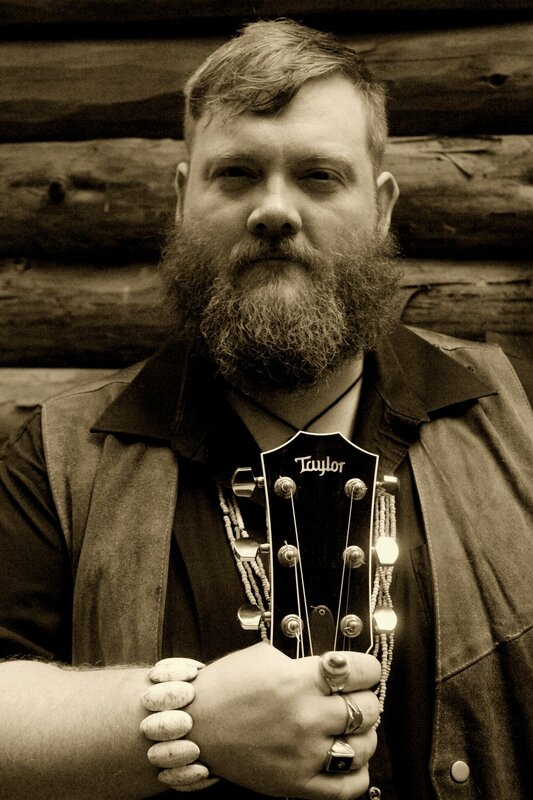 "One of the Northwood's best and busiest musicians" is how the Northwoods Live Music Calendar describes Scott Kirby, an alternative blues rock singer/songwriter living in northern Wisconsin. Don Burnstick describes what Kirby has simply as "mojo". It's that mojo that is Kirby's signature sound. Kirby has been exploring guitar and writing songs since the age of twelve. Kirby's wide range of influences helped hone his individual voice in songwriting. He notes his larger inspirations to be Bob Dylan, Neil Young, REM, Tom Petty, Stevie Wonder, and Johnny Cash. Band Camp Diaries says, "He has a unique approach to blending melody and attitude that makes me think of modern artists such as The Fray or Daughtry, just to mention a few." Kirby has nine album releases to his name (Long Way Home, Apple Love, Good Morning Jo, B Tapes Vol 1, A Day On The Lake, Live at CT's Deli, November Snow, live at the little brown jug, ep 2018), and amped up his sound with his 2017 single "Love Is Just," produced by Grammy winning producer Jeff Bova (Album of the Year, Celine Dion, Falling Into You). Dancing About Architecture wrote: "'Love Is Just' is eloquent, in a solid and dependable sort of way, a combination of keeping things simple, though far from simplistic, and that fantastic voice of his. Letting the music breathe and the vocals soar, a vocal which seems to blend romance and honesty and a soulfulness with a delivery that most rock singers would kill for." Now, Scott is letting his inner Blues Rock persona shine in his new single, 'Something to Move.' This charged track stirs up swampy, gritty images and reminds us that the Blues are timeless. Dancing About Architecture jumped on the Official Premiere and Dave Franklin wrote this about the track: "If 'Love is Just' showed that Scott Kirby was all about the idea that if you get the basics right then a song tends to not need much dressing up, that getting the fundamentals right is better than throwing too much into the musical mix, then 'Something to Move’ shows that even when he builds more textured music the same rules apply. It is this basic principle that means that every instrument has its place, each is deferential to the other never stepping on each others toes, and the result is that whilst none of the individual parts are dominant, voluminous or bombastic, nothing so crude as that, the end result is a powerful song. Rock bands could learn a lot from such an approach and pop bands would do well to take head of how infectious and groovesome this song is. They won’t and that is what will keep Scott Kirby well ahead of the pack both within his chosen generic playground or in any other for that matter." And from Sleeping Bag Studios: “…due to that comforting familiarity in the rhythm & flow and the spot-on performance & production – it’s pretty damn easy to get right into this tune of Kirby’s, no doubt about it. That chorus alone has such an addictive energy to it that it’ll get you chanting along with it from your couch while you listen. No complaints to be made when it comes to the execution here…all the corners have been tightened and “Something To Move” certainly hits the mark when it comes to provide an all-around good time… the confident charisma of Kirby on the mic is dripping with cool at every moment – you really can’t take your ears off this guy. He’s clearly right into it on this new single…and as a result, when we’re listening, we really can’t help but feel the same – it’s the kind of passion & enthusiasm that’s contagious in all the right ways. "Scott Kirby’s “Something To Move” is the definition of a perfect bar jam." "Scott’s got a solid scorcher here that’s bursting with rhythm & passion at the seams…another great tune from what’s clearly an artist that gives everything he’s got to his music, every time." "Something To Move by Scott Kirby is everything we need music to be." "From the tiniest of bar stages to the biggest of stadiums out there – “Something To Move” is always going to come out sounding massive no matter where you hear it…it’s the kind of cut that’ll bring the crowd right to the floor…the kind of groove so strong you can authentically feel it moving you." "...akin to something like an acoustically-driven “Walk This Way” by Aerosmith." "Rock bands could learn a lot from such an approach and pop bands would do well to take head of how infectious and groovesome this song is." "...I know I can’t wait to get my hands on the rest of this album." "How do you write a review when the only words that slip out my mouth is yes. Yes! Yes. Literally. Yes! Yeeeeeeeeeeeeeeeeess!" "[Kirby] delivers with passion and experience and his sound is distinguishable from the first note." "...makes me think of fellow artists the likes of Neil Young, Elliott Smith and Wilco"
A modern take on the backbone of popular music, 'Something To Move' is a driving, vivid depiction of life outside popular culture. Officially released through The Orchard September 7, 2018. As a founding member of the multi-award winning cult British Blues legends, The Hoax, Jesse Davey was central to reshaping and revitalizing the sound of British Blues in the late 90’s. His charismatic stage presence and his legendary guitar tone were central to the band being voted Britain's Best Blues Band for five years running leading to their induction into the British Blues Hall of Fame. His playing, influenced by the greats such as B.B King, Lightnin' Hopkins and Stevie Ray Vaughan has developed into a mature and personal style ranging from blistering pyrotechnics with jazz and even classical flavors to beautiful and soul searching solos which run the gamut of emotions of exquisite melancholy to explosive joy. Stevie Ray's band Double Trouble were knocked out with his playing when he played with them at the Indigenous Jam in America, while Buddy Guy was overheard saying to Eric Clapton "You'd better watch out for this guy" after a couple of blistering sets supporting Buddy at the Shepherds Bush Empire. Jesse's latest album showcases not only the remarkable talent of someone who many consider to be one of the country's best blues guitarists, but also as a composer, producer and multi- instrumentalist. It is easy to see why his skills have been used by the likes of Mick Jagger, Dave Stewart and Ringo Starr among many others, and his songs and musicianship can be heard on the soundtracks of films such as Tomb Raider, Alfie, Valley of Elah and Heaven's Prisoners. The guitar playing seamlessly ranges from blistering wizardry to the subtly intricate and will move you, both with its soulfulness and with its tone. The passion in this album Big Blues, with vocal collaborations of Ian Siegal, Pete Gage (singer Dr. Feelgood), Ash Wilson (including talented guitar playing perfectly in sync with Jesse) and Hugh Coltman (lead singer of The Hoax), Phil Wilson (brother of Ash) and finally Mark Barrett (drummer of The Hoax), can be heard on every song track. This highly detailed and remarkable recording showcases perfectly both Jesse's song writing skills and his unmatched guitar playing.